For Nick Clarke, his series debut didn’t happen until mid-season at Flamboro Speedway, but he has been fast from the beginning. Kicking things off in July, he would lead flag-to-flag in the feature despite fighting fuel issues to pick up the victory. Moving forward to Sunset Speedway in September, he would not be as successful as hoped, posting a pair of ninth-place finishes after mechanical issues ended the first event early. 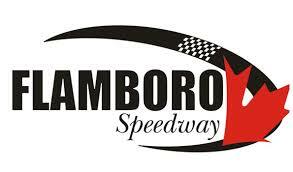 Returning to Flamboro Speedway the following weekend, he found his groove once again, once again leading-to-flag en route to the victory. Dan Archibald only made it out to three races in 2017, but he left a lasting impact on the division. Making his series debut at Kawartha Speedway in July, he took the lead on Lap 3 of the feature, holding off Tyler Hawn to score the victory. He then backed it up with the perfect sweep at Sunset Speedway’s Velocity 250, winning both events despite being heavily challenged by Kenny McNicol on every turn. When the first race took place at Kawartha Speedway in June, Art Rodgers was one of the drivers in the field, taking home a sixth-place finish. From there, he ran two more events, showing more speed with each appearance. His dirt experience came in handy at Brighton Speedway for a runner-up, while he placed fifth in the return trip to Kawartha in July. To each of the drivers on behalf of OSCAAR, congratulations on your success and thank you for being part of the inaugural season. We look forward to even bigger, stronger 2018 campaign and wish you the best of luck.